A solid morning1 routine is the secret weapon to making each day the best one yet. It can help set the tone for the rest of the day and allow you to hit the ground running. I wanted to talk about two parts of my morning routine that have made all the difference and an area I’m hoping to improve on. Growing up, I never used to make my bed. My mom always nagged me about this, but I let this seemingly mundane task slide. That all changed when I watched Admiral William McRaven’s commencement speech at the University of Texas at Austin in 2014. He made two incredible points about taking this act seriously. First, it allows you to start your day with a small win. This momentum2 has helped me go on to tackle subsequent tasks. Secondly, no matter how “badly” your day goes, coming home to a bed that is made—that you made—gives you encouragement for tomorrow. Last week, I started a new goal of taking a cold shower each day. While this may sound borderline crazy, it has helped in a couple of significant ways (in addition to its health benefits). Cold showers allow me to conquer fear each day. There is no feeling quite like staring down your faucet on the coldest setting. Every instinct urging me to just cave in and revert to my warm shower days. That’s when I silence my inner fear and jump in. Moreover, cold showers wake you up like a double shot espresso without any of the calories or caffeine. While making my bed and cold showers have helped bolster my morning routine, there is one aspect I would like to get better at. Not starting my day in a reactionary state. More specifically, I will often wake up, silence my alarm, and crawl back into bed checking Twitter and email. The problem with this is that it places my morning’s forcing function in the hands of others. Instead of starting the day on that project I’ve been working on, I might get derailed by replying to an email. 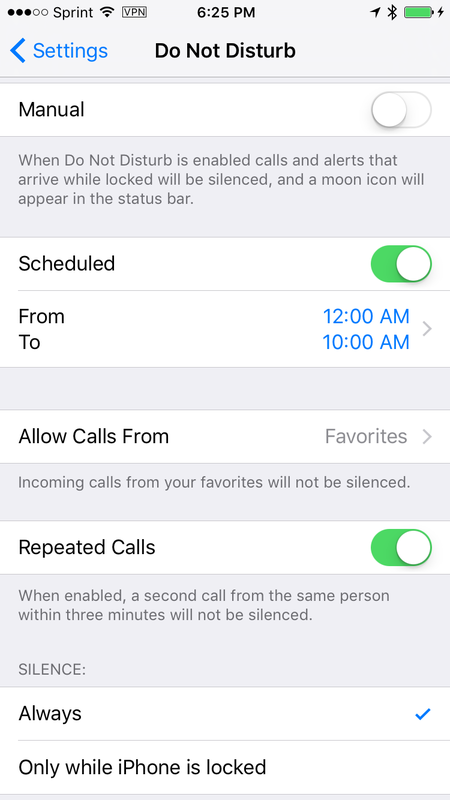 A potential solution to this would be to set an iOS “Do Not Disturb” schedule that ends later in the morning. Allowing me to defer reactive activities until I have had time for myself. I am excited to make progress on this and will definitely write about what works in a future post! The above habits are just a few3 that I have been doing and hope to improve on. Fine-tuning my morning routine has been worth its weight in gold. After all, the first step in building a better self is adjusting how you start each day. Have aspects of your morning routine that you cannot live without? I’d love to know about them!